At this time, you will find yourself on a small cube where difficult survival awaits you. You spawn in the center of the cube, each side of this cube consists of different blocks. 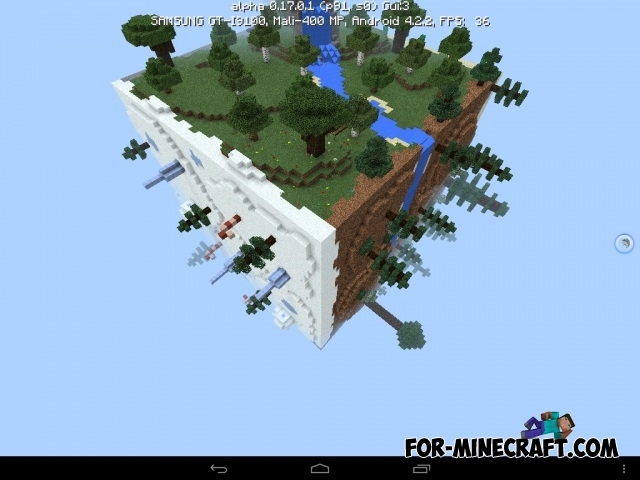 One can say that you will be able to visit 6 different biomes on different sides. For example, the southern part of the cube is a desert with a small house, be sure to explore it. In the north you will see a small icy forest. In addition, you need to strain your brain to get to the other part of the cube and does not break at that moment. The Square planet Survival map is perfect for playing with friends. You can break any blocks. Do not use the creative mode. Download the archive below and unpack it. 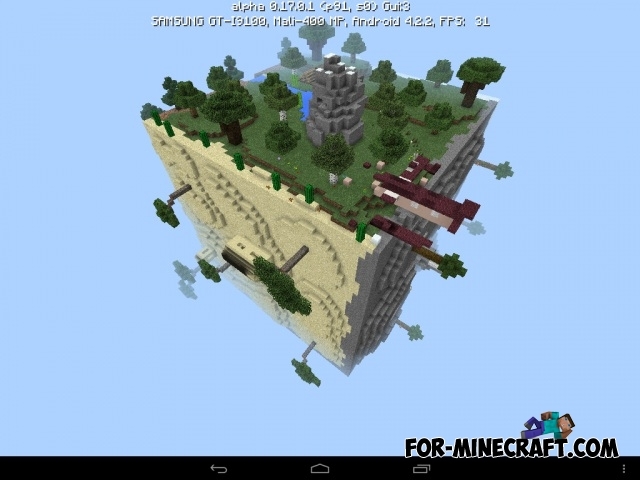 Copy the extracted folder here - /games/com.mojang/MinecraftWorlds/.